Boy meets Cop. 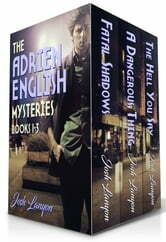 For the first time, books 1 - 3 of The Adrien English Mysteries collected in one volume! Fatal Shadows - When his former best friend and employee is murdered following a very public argument, bookseller and sometimes mystery writer Adrien English finds himself suspected of murder. 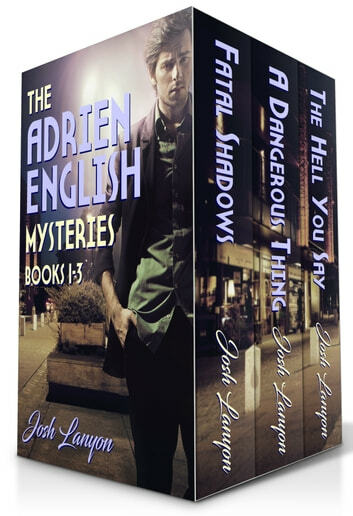 A Dangerous Thing - Adrien English arrives at the Pine Shadow Ranch only to find a corpse in his driveway. By the time the unfriendly local sheriffs arrive, the body has disappeared. The Hell You Say - It’s Christmas time and the “ill-starred and bookish” bookseller and occasional mystery writer must contend with a Satanic cult, a handsome university professor and his on-again/off-again relationship with the eternally conflicted LAPD Detective Jake Riordan.